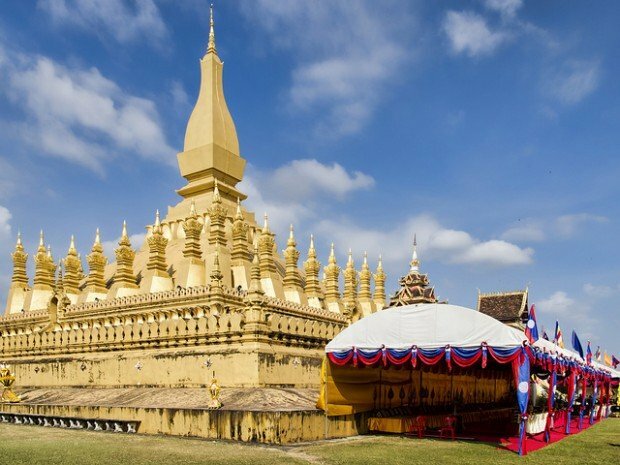 Discover the wonders of Laos by visiting these top attractions. Often overshadowed by the better-known bordering countries such as Thailand and Vietnam, Laos is an equally charming must-visit destination in Southeast Asia. This landlocked country is bursting with ancient cities, quaint heritage towns, glistening Buddhist stupas, spectacular nature, authentic food and warm people. While it is now gradually opening up to mass tourism, Laos is still largely undiscovered and off-the-beaten track, making it a perfect escape from the hurried life that you most probably have. 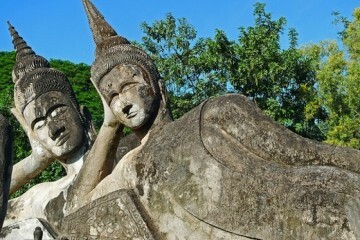 Now give yourself a break, spend a week or so exploring these top destinations and attractions in Laos. Start your journey at the most popular city in Laos, Luang Prabang. 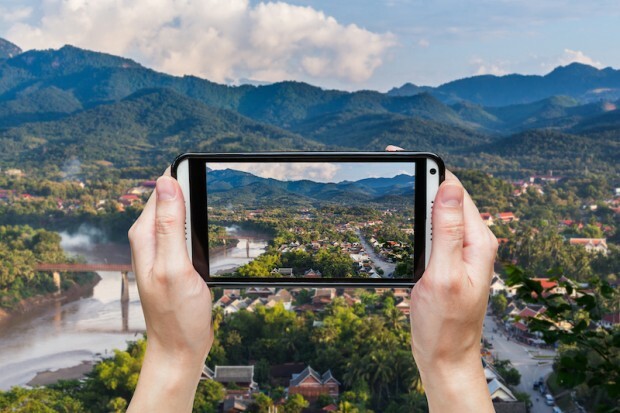 Once served as the royal capital of the Kingdom of Laos, Luang Prabang is a UNESCO World Heritage site where the milky-brown waters of Mekong and Nam Kha Rivers meet. You will find some cascading waterfalls, rugged mountains and caves nearby. The city is also known for its Buddhist temples with orange-robed monks collecting alms in the morning. At night, you can stroll around the town centre and buy souvenirs from the colourful night market. 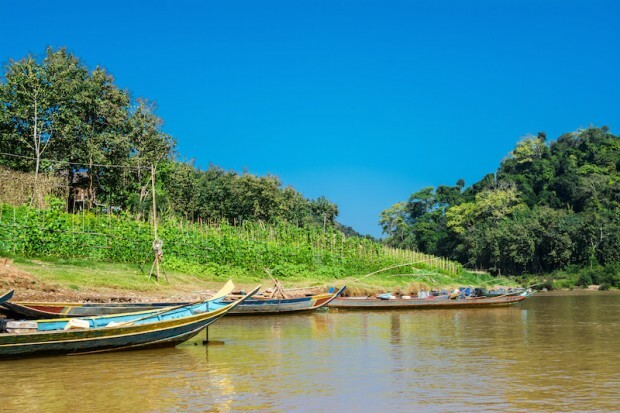 While you are in Luang Prabang, grab the opportunity to cruise along the greatest river of Southeast Asia, the Mekong River. Running through the Yunnan province of China, Myanmar, Thailand, Cambodia, Vietnam, and a large part of Laos, this river is a main transportation route and a major tourist draw in Laos and possibly the whole of Southeast Asia. After your Mekong River cruise, you must step into the mystic Pak Ou Caves, two linked caves on the west side of the Mekong River. 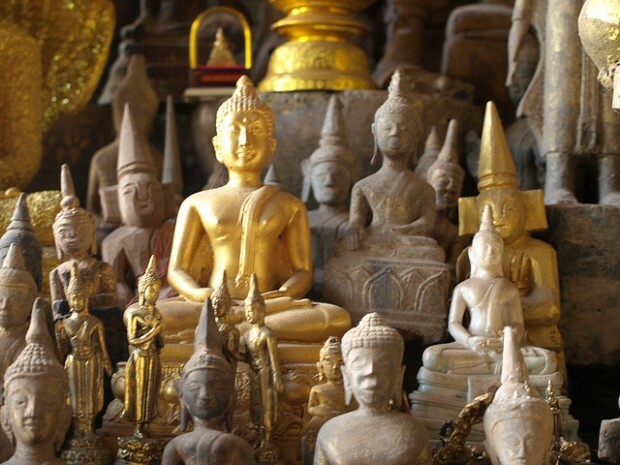 These caves are jam-packed with thousands of gold miniature Buddha sculptures and statues of varying sizes and shapes – definitely a must-see treasure of Laos! 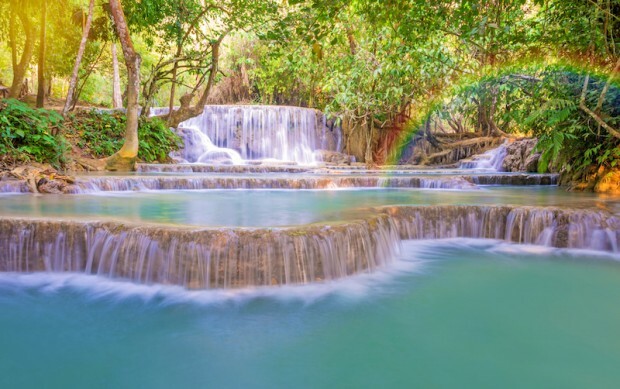 A popular side trip in Luang Prabang, Kuang Si Waterfall attracts both locals and tourists because of its three tier cascades with the main one having a 60-metre drop. With its mesmerising waters, cool turquoise pools and idyllic environment, it’s a great spot for sightseeing, photography and even swimming. However, you will have to pay for a minimal admission fee to access the site. 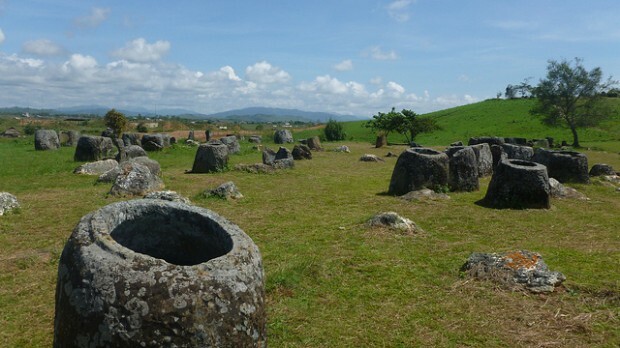 The Plain of Jars in the city of Xieng Khouang (Phonsavan) is an attraction that will truly enthral you. Dating back to the Iron Age, these megalithic jars are believed to be linked with ancient burial practices but no one really knows their exact origin. You just can’t leave Laos without setting foot on one of the world’s greatest archaeological mysteries. 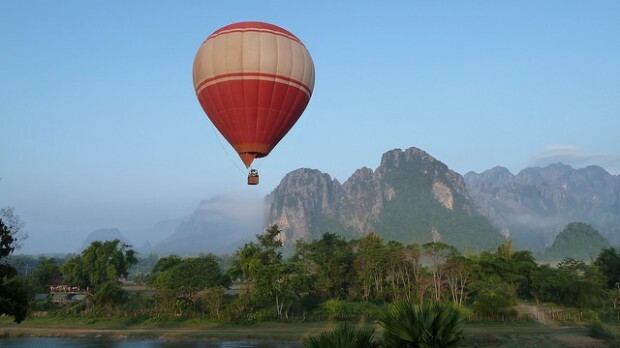 If you’re the adventurous sort, you should not miss the adventure capital of Laos, Vang Vieng. 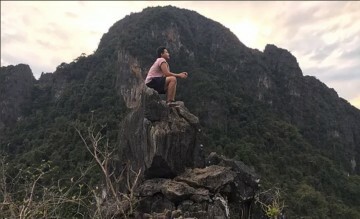 As it is surrounded by karst hills, limestone cliffs, caves and rivers, you can do a lot of adventure activities in the area such as kayaking, rock climbing, spelunking, trekking and more! To make your experience extra special, ride a hot-air balloon and view the incredible scenery up above. Nam Song River gives life to Vang Vieng and the whole of Laos quite literally and figuratively. The river is connected to Nam Ngum Dam which provides hydroelectric power to Laos and even to Thailand. 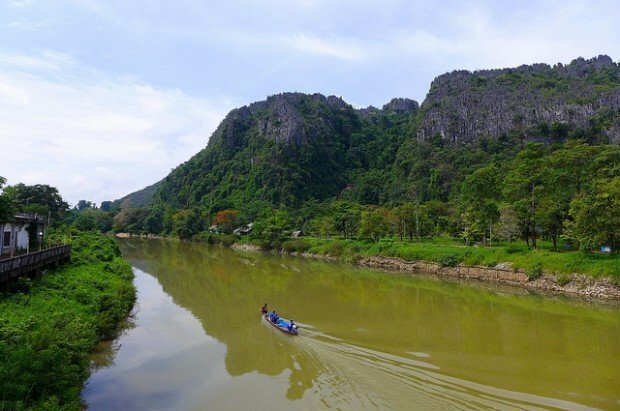 Aside from its electricity contribution, Nam Song River is a main tourist attraction where water sports such as tubing and kayaking are greatly enjoyed. 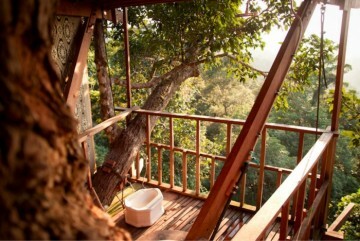 It’s also one of the best places to catch the sunset and experience the Laotian countryside. Vientiane wouldn’t be the country’s capital for no good reason. Once a French colony, this city is filled with French-inspired structures that stand in lovely contrast with the ancient Buddhist temples. 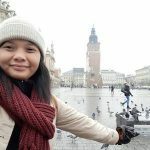 If you’re on a budget, you wouldn’t have a hard time finding affordable accommodations, restaurants and other places to hang out in Vientiane. Despite being the centre of commerce and politics, it’s still a pretty laid-back city that is not over-commercialised and not too far from the pleasant countryside. 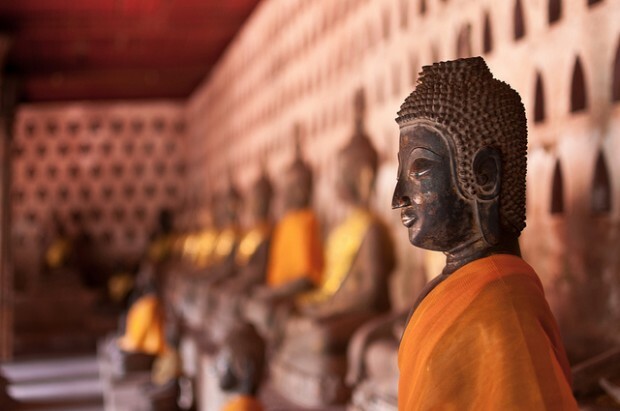 When exploring Vientiane, this stunning Buddhist temple is hard to miss. Located just across the Presidential Palace, Wat Sisaket is the oldest surviving monastery in the capital city built by King Anou in the early 19th century. It is believed that the temple was spared during the Siamese invasion because it resembles the structure of Thai temples. Wat Sisaket now houses a museum and more than 2,000 ceramic and silver Buddha images. 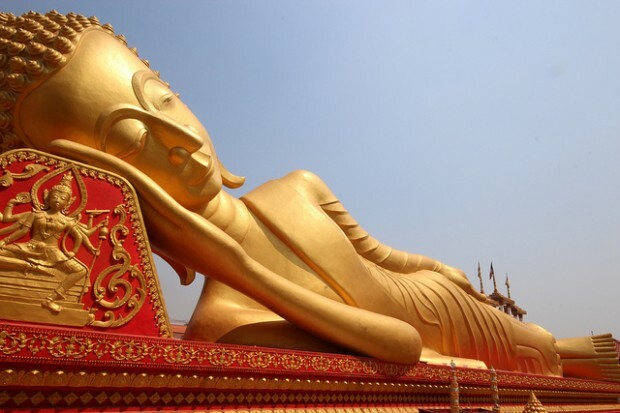 Aside from Wat Sisaket, another great place to learn about Buddhism and the rich history of Laos is the That Luang Stupa which translates to the “Great Stupa in Lao”. This gold-covered stupa was built in the 16th century, but unlike Wat Sisaket, it was destroyed during the Siamese invasion. It was later reconstructed by the French in the early 20th century. Today, it is revered as the most important national monument and symbol of Laos. There you have it! Ten attractions to kick-start your true Laotian experience! From Don Det to Vientiane, Vang Vieng and Luang Prabang.